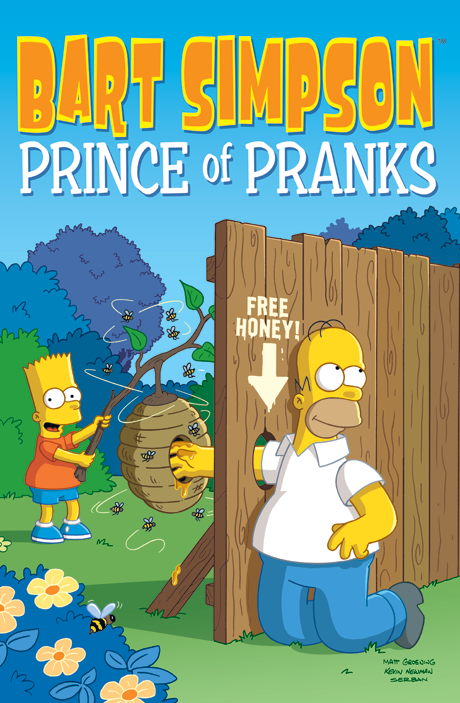 No one is safe and everyone is fair game as the Prince of Pranks, Bart Simpson, unloads his bag of tricks on his unsuspecting friends and family. First, Springfield Elementary will never be the same when Bart replaces Seymour Skinner as principal. Then, things get out of control and oversized when Bart gets his hands on Professor Frink’s newest invention, the Embigulator. Add in a new installment of Bart’s comic creation Angry Dad and a plot to make Ralph Wiggum the most feared kid on campus, and Bart Simpson, Prince of Pranks, will have you howling with laughter all the way to the Principal’s Office!